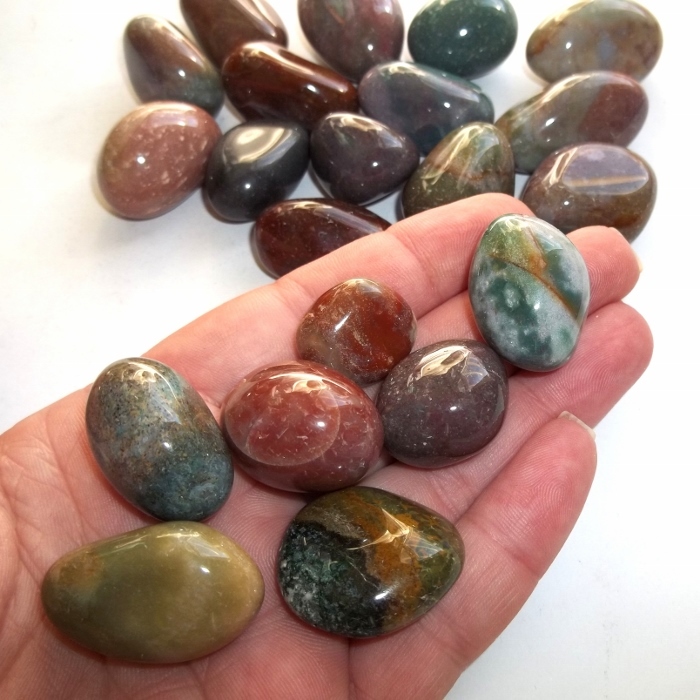 Grab a half pound of high quality polished fancy jasper gemstones to start your rock collection. 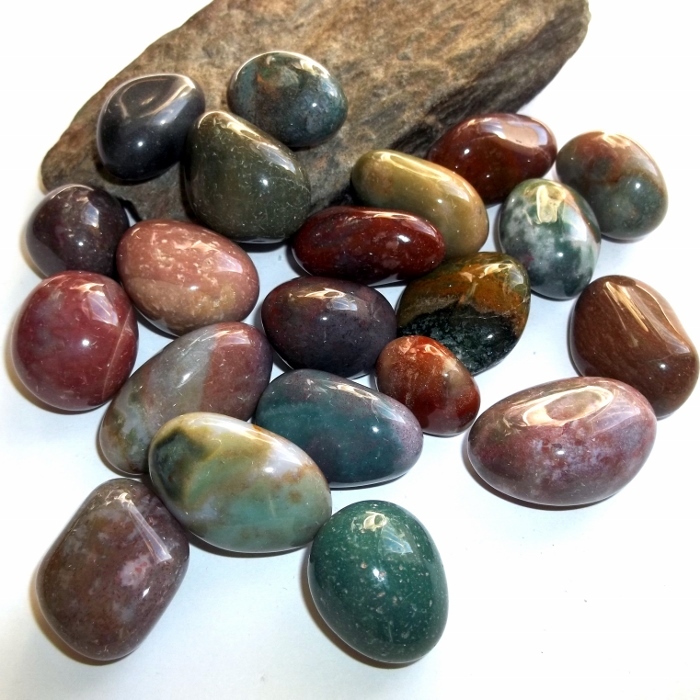 These are a mix of jasper gemstones, all natural, high quality, none dyed that I buy in bulk. The colors vary, and they're all absolutely gorgeous. 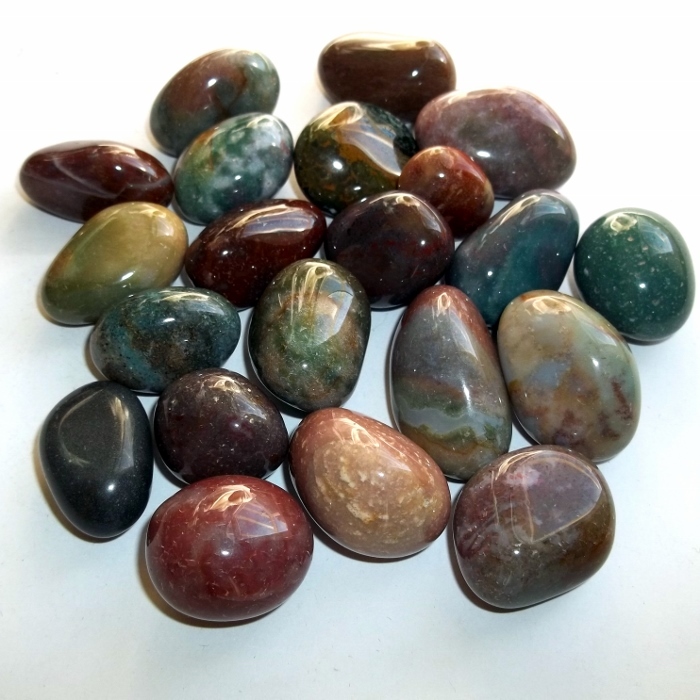 Each are around 3/4 inch in size and a half pound lot will amount to about 20 stones, depending on individual stones sizes. What you see in the photos here is exactly a half pound (not including my boring brown prop rock,) so that's about the size of the lot you'll be getting.